Perfect for the rose lover, this Rose Garden Bundle includes everything you need to turn your garden into a picture-perfect cottage garden! 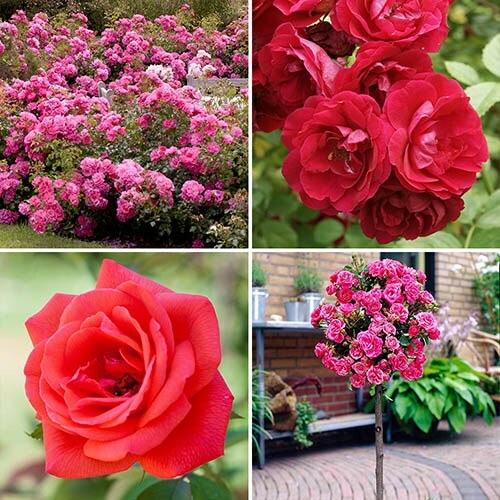 Including a mixture of 4 potted rose plants, this bundle includes a rose for every different need; Standard, Bush, Climber and Groudcover. You’ll also get a pair of soft-handled bypass secateurs for neat and tidy pruning and a massive 1.5kg of Rose & Shrub fertiliser in a handy resalable tub! 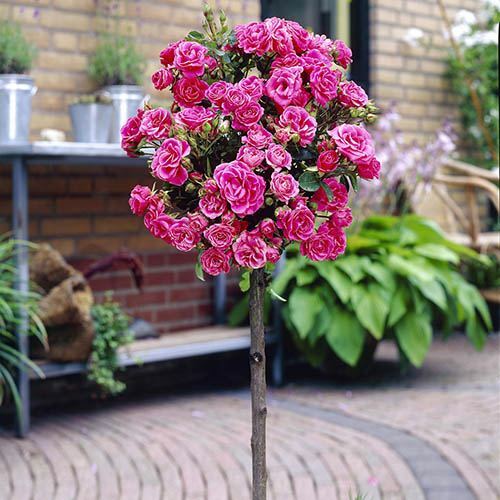 Supplied as grower quality, established 3L potted roses in red and pink, ready to plant out, with a pair of bypass secateurs and 1.5kg Blooming Fast Rose & Shrub Fertiliser. Club Price: £35.99 - Save: £4.00 Join Today! • Patio Standard - trained to sit in a ball atop a long stem, perfect planted in pots and arranged either side of doorways, gateways and entrances or on patios and balconies. 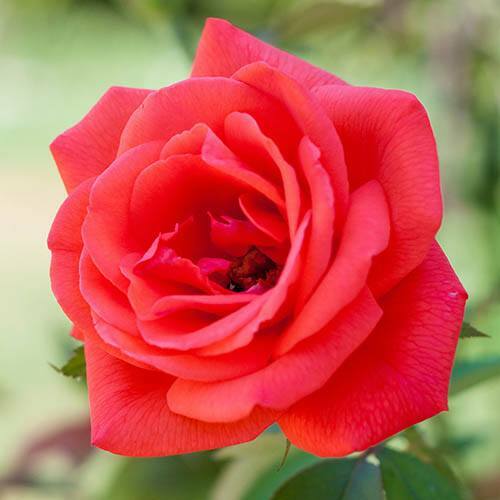 • Bush Rose – dense and shrubby, ideal for filling in gaps in beds and borders with their bushy nature and will fill your garden with the most beautiful scent! 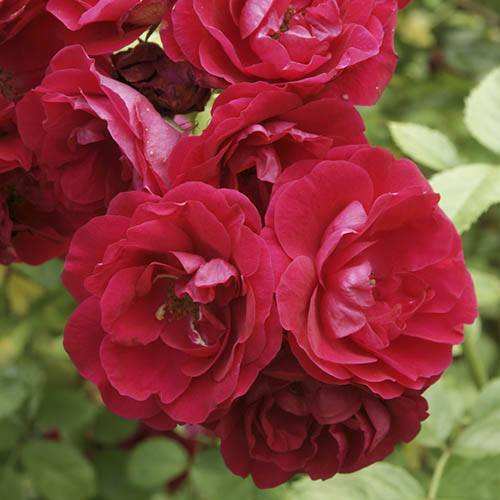 • Climbing Rose– perfect for trailing up the side of archways, trellis or covering unsightly walls and fences with a delicate scent. 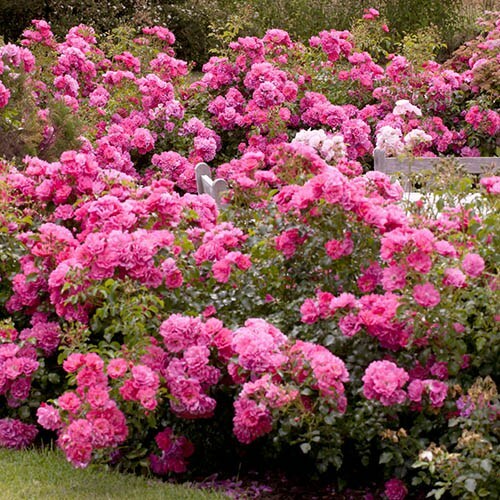 • Groundcover Rose – another dense and shrubby rose but grows out rather than up, perfect for low borders and spreading out over bare patches in beds, but also beautiful in large containers, spilling over the sides. 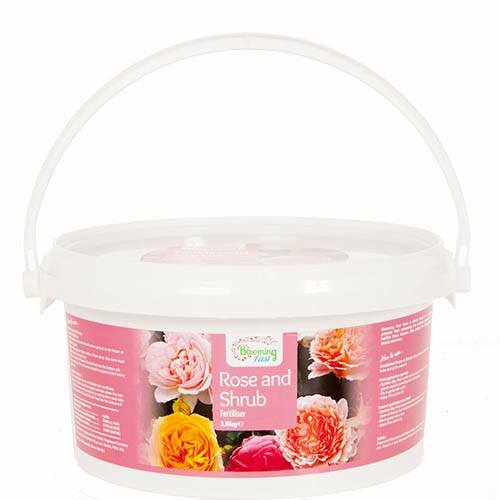 Supplied as grower quality, established 3L potted roses ready to plant out, with a pair of bypass secateurs and 1.5kg Blooming Fast Rose & Shrub Fertiliser. Please note: the colour of your bush rose may vary.